Equity in higher education is making headlines right now. 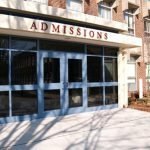 It is admission acceptance time for high school seniors, admission scandals fill the news, and students are scrutinizing financial aid offers. All this opens up discussions about wealthy students, elite institutions, low-income and minority students. Each of these topics leads to the recurring issue of equity in higher education, why it matters and how to achieve it. Equity in higher education affects society as a whole. In the recovery years since the Great Recession, the new jobs that were created have required college degrees. Creating equity in access to education will make it possible for all US citizens to have the opportunity to access the education that will qualify them for these jobs. There is progress towards Goal 2025 in which 60 percent of American having a degree, certificate or another credential. The national six-year completion rate for the 2012 cohort, students who would graduate by 2018, is 58.3 percent. This is an increase of 1.5 percent over the 2011 cohort. The progress towards Goal 2025 isn’t equal across the population. Completion rates for students from different segments of the US population are not the same. The completion rate for the 2012 cohort of black students is 47.6 percent, a 1.6 increase over the 2011 cohort. The completion rate for the same cohort of Hispanic students is 57.4 percent, a 1.7 percent increase over the 2011 cohort. The The completion rate for white students is 62 percent and for Asian students 63.2 percent. These rates are a 1 percent increase from the 2011 to 2012 cohort. •	15.5 percent of Hispanic. Racial divides aren’t the only challenges to equity in education. Income levels and disabilities also are a factor. Low-income students are four times less like to earn a degree than wealthier students. Students with disabilities are about half as likely to earn a degree as those without; 17 percent of disabled adults held a bachelor’s degree compared to 35 percent of adults without a disability. Improving access to higher education and support that helps all students reach completion can lead to a balance in US society that gives each person equal employment opportunity. US Department of Education shows that between 2014 and 2016, 4 million students quit school before completing their degree. Policy makers and education officials can create policies to ensure equity in education and help students reach attainment, however, businesses can do something equally effective. As a best practice businesses can use their tuition assistance policies to ensure that students have equal access to education. Tuition assistance makes it possible for students to afford education, no matter their socio-economic class. Tuition assistance removes a barrier to equity in higher education access with funds that make tuition affordable. Tuition assistance can make it possible for students to complete their education. Rather than stopping before they complete a degree, students have more support that helps them reach completion. Along with financial support, TAP can include counseling that helps students develop education and career paths that ensure they can reach their potential. Tuition assistance can achieve equity in higher education on a very personal level, giving each individual the opportunity to reach their potential, for the benefit of all. Lumina Foundation’s Equity Imperative says that it is important to address all the barriers to equity in higher education “if we are to flourish as citizens and as a nation.” Employer tuition assistance addresses barriers as it offers opportunity to employees.